With decades of experience and a strong track record of success, our seasoned attorneys and staff members serve a diverse client base in middle Tennessee and across the state. Our practice consistently delivers large-firm expertise with the personalization and care of a smaller firm for you, your family and your business. At Galligan & Newman, we represent our clients using the highest standards of professionalism and ethics. Our team-oriented approach encourages innovative thinking, fosters communication and delivers excellent results for our clients. Realizing that not all of life takes place in a courtroom or a law office, our attorneys and staff are actively involved in the community. They serve as board members for various organizations and volunteer for not-for-profits around the area, and one even hosts a sports radio show. We invite you to learn more about our firm.For more information, please see our Attorneys and Staff profiles, or learn about our Areas of Practice. We know that personal injuries can cause physical and emotional suffering as well as financial difficulty. Our team of experts are here to ensure your rights are protected and that you receive the compensation you deserve. Mr. Galligan founded his law practice in 1971 following graduation from the University of Tennessee School of Law, and he established the firm of Galligan & Newman in 1982. His successful law practice includes the following areas: personal injury, medical malpractice, civil rights and employment, contested estate cases, complex criminal cases, and workers' compensation. During his more than 40 years as an attorney, Mr. Galligan has represented many high-profile clients, including cases televised on Court TV and reported in national newspapers and magazines. Mr. Galligan has also settled and tried many plaintiffs' cases involving large monetary awards. Mr. Galligan is a member of the McMinnville, Warren County, Tennessee and American Bar Associations and the Tennessee Association for Justice, serving as a past member of the Board of Governors. He has been appointed by the Governor to serve on the Tennessee Judicial Council. Mr. Galligan is admitted to practice in the U.S. Supreme Court, U.S. Court of Appeals for the Sixth Circuit, U.S. District Court for the Eastern and Middle Districts of Tennessee, and the Tennessee Supreme Court and all state courts in Tennessee. He was an adjunct professor and lecturer at the University of Tennessee School of Law for 10 years and is frequently invited to speak at industry events. He is past President of "Main Street McMinnville," past Chairman of the City of McMinnville Board of Zoning Appeals and past Vice Chairman of the Board of Directors of River Park Hospital. Born in Washington, D.C., in 1941, Mr. Galligan served in the U.S. Marine Corps from 1965 to 1968, rising to the rank of Captain. Outside his time at the firm, Mr. Galligan's interests include painting, athletics, cooking, reading and traveling. Mr. Newman joined Mr. Galligan in 1982 to establish the firm of Galligan & Newman. With over 30 years of experience, Mr. Newman specializes in the areas of general litigation, including domestic cases such as divorce, child custody and adoptions; criminal law; and social security. He also represents area utilities. He is former President of the Warren County Bar Association and a member of the Tennessee Bar Association. Other memberships include the Tennessee Association for Justice and the Tennessee Association of Criminal Defense Lawyers. 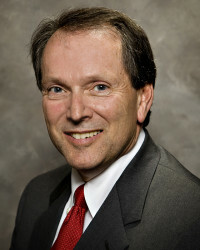 After he graduated from the Cecil C. Humphreys School of Law at the University of Memphis, Mr. Newman was admitted to the Tennessee bar in 1982, U.S. District Court for the Eastern District of Tennessee in 1985 and U.S. District Court for the Middle District of Tennessee in 1991. Born in McMinnville, Tennessee, in 1951, Mr. Newman is married to Marsha Newman, who is principal of West Elementary School in McMinnville. They have four sons. Mr. Newman also serves as Chairman of the Board of Directors of Security Federal Bank and as past President of the Breakfast Rotary Club. Joining Galligan & Newman in 1996, Ms. Marttala concentrates in the practice areas of employment discrimination and civil rights, medical malpractice, and general civil cases in state and federal courts. 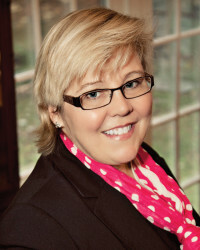 Prior to joining Galligan & Newman, she was a partner with her husband in the law firm of Marttala & Marttala. She was the first female District Attorney General in Tennessee history, serving an interim position by appointment of Gov. Ned McWherter. She served five years as the Municipal Judge for the City of McMinnville and also served as the McMinnville City Attorney. Ms. Marttala has a B.A. from the University of the South and a J.D. from Vanderbilt University. She was admitted to the Tennessee bar in 1986, U.S. District Court for the Middle District of Tennessee in 1987, U.S. District Court for the Eastern District of Tennessee in 2006 and U.S. Court of Appeals for the Sixth Circuit in 2007. Born and raised in McMinnville, she is married to David Marttala, who is in-house legal counsel for the First National Bank of McMinnville. They have three children. Mr. Partin has practiced law at Galligan & Newman since 2000, primarily in the areas of criminal defense, including appellate work, civil litigation, employment and civil rights, personal injury, and domestic law. He is Municipal Judge for the town of Morrison and previously served as County Attorney for Van Buren County, Tennessee. Mr. Partin holds a B.S. from Middle Tennessee State University and a J.D. from the University of Tennessee College of Law. He is admitted to practice in all courts in the state of Tennessee and to the U.S. District Court, Eastern and Middle Districts. 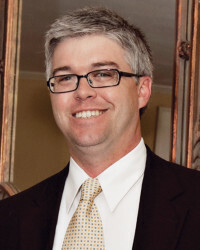 He is a member of the Warren County and Tennessee Bar Associations, as well as the Tennessee Association for Justice. Born in Murfreesboro and raised in McMinnville, Mr. Partin's interests outside of practicing law include sports, music and politics. He is a local radio personality, serving as a frequent contributor to "Viewpoints" and as a host of "Pigskin Panel." He has also served as the attorney advisor for the Warren County High School Mock Trial Team. He is married to Becky Partin. Mr. Newman joined Galligan & Newman in 2010, concentrating in the areas of workers' compensation, criminal defense, commercial litigation, contract law and criminal appellate work. He also is the attorney member of the McMinnville Greenway Committee. Mr. Newman holds a B.S. in Business Administration from the University of Tennessee, Knoxville, and a J.D. from the University of Memphis, Cecil C. Humphreys School of Law. He was admitted to the Tennessee bar in 2010. 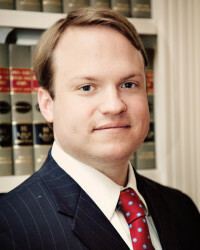 He is a member of the Warren County and Tennessee bar associations. Mr. Newman assists his father, Robert Newman, in representing local utilities. When not practicing law, he is an avid outdoorsman, participating in activities such as hiking, backpacking, canoeing, kayaking, rock climbing, cycling and skiing. He is also active in Kids of the Community. Raised in McMinnville, Mr. Newman grew up working on the family farm and continues in that tradition. Mr. Galligan practices in the areas of personal injury, employment and civil rights, criminal defense, complex civil litigation, and corporate representation. He joined Galligan & Newman in 2011. Mr. Galligan was formerly the Legislative Director and Legal Counsel for U.S. Rep. Lincoln Davis in Washington, D.C. Among his many duties, he was responsible for drafting and briefing Rep. Davis on all legislation before the House of Representatives. Mr. Galligan attended Rhodes College in Memphis and graduated in 2003 with a B.A. in International Studies. 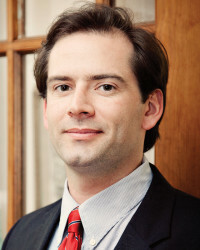 Mr. Galligan is a 2008 graduate of the University of Memphis, Cecil C. Humphreys School of Law. While in law school, he clerked for several judges at the Shelby County Criminal Court. 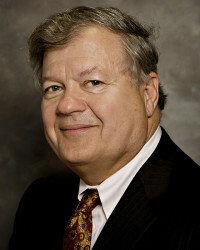 Mr. Galligan was admitted to the Tennessee bar in 2009. He and his wife, Meredith, have one son. He enjoys spending time with his family, outdoor activities, playing sports, music, reading and cooking.